Dulce de leche is a type of sweetened milk caramel originating from South America. In the UK, we usually make dulce de leche by boiling cans of condensed milk. This process however, can be dangerous because if the pan boils dry the can will overheat and explode. Cooking the condensed milk sous vide prevents this from being a problem. It is also possible to cook the condensed milk in the can or in a sterilised jar in the water bath. If doing this, the dulce de leche will keep for much longer. For a luxury version, scrape the seeds of a vanilla pod in with the condensed milk before cooking. 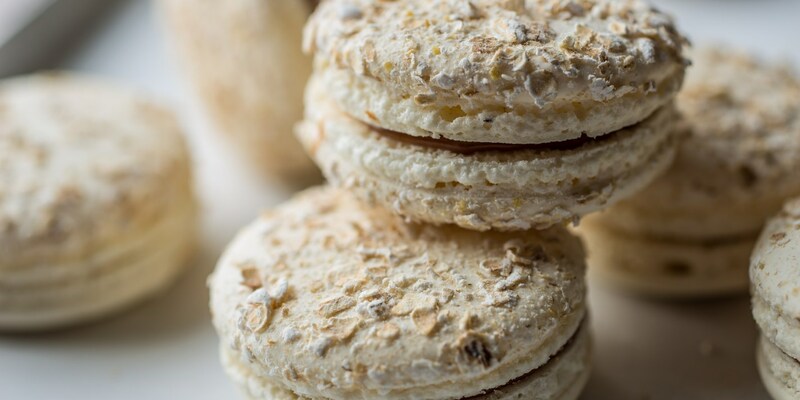 Graham Hornigold makes Dulce de leche macarons and Paul Ainsworth uses it in his Financiers with salted angel delight and limoncello syrup.